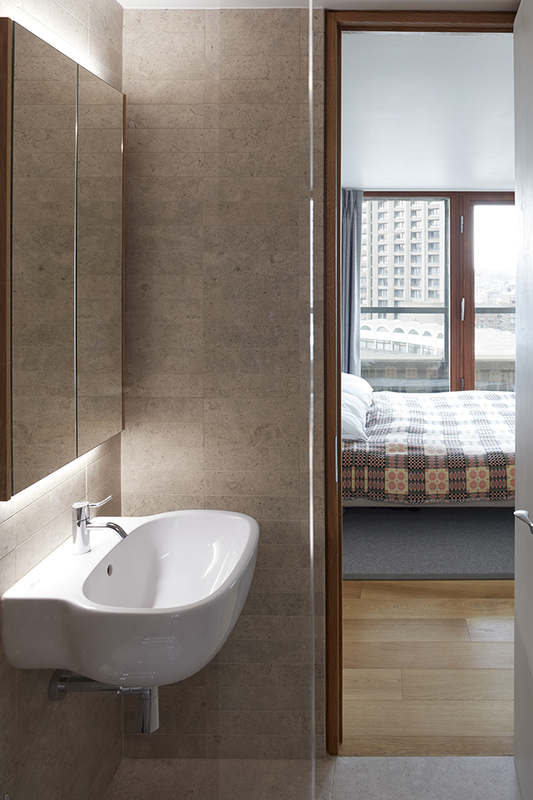 Quinn Architects, on behalf of the Director Laurence Quinn and his family, have recently completed the renovation of an Eleventh floor four bedroom Barbican tower apartment. The Barbican is a radical project and has been designated as a site of special architectural interest for its scale, its cohesion and the quality of the architecture. 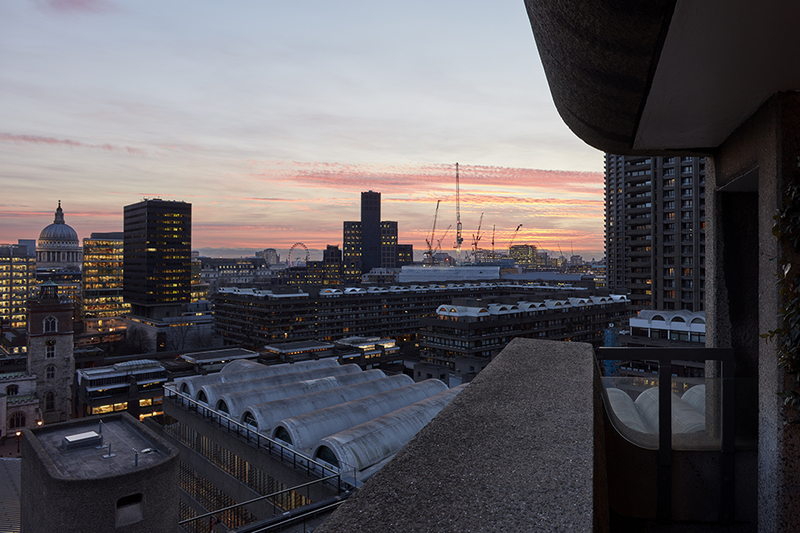 The complex is architecturally important as it is one of London’s best examples of concrete brutalist architecture. Quinn Architects interior project is a personal study of living on the estate and due to the intensity of the design development and a desire to experiment it was decided to procure the project in an unusual way. Quinn Architects subsequently rented a workshop in Camberwell and set about designing and prototyping and manufacturing every detail in the apartment directly over a period of 9 months with only the outline designs in place at the outset of the construction. 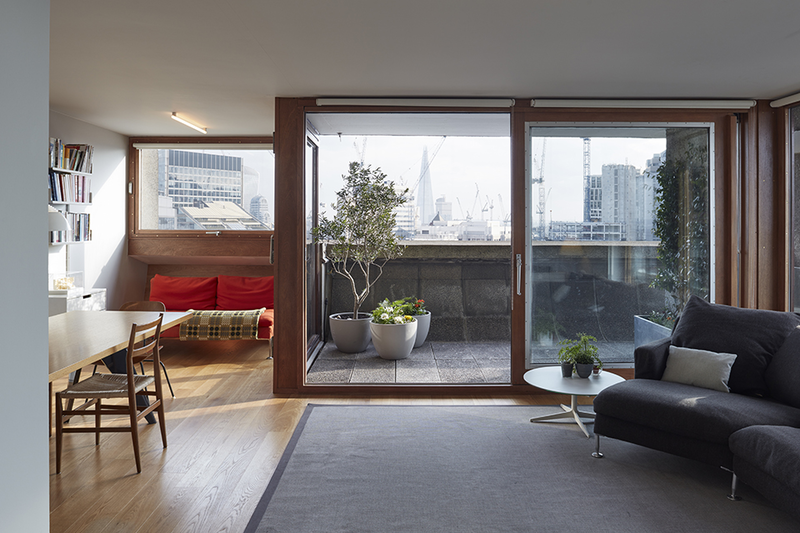 A great respect and affection for the Barbican detailing and the experience and research conducted over 12 years of living in the Grade 2 listed estate was the catalyst for the reconstruction of the historic flat which occupies an 11th floor location with beautiful South West views over London. A focus on clear practical and flexible living were therefore key to this design. Each element of the project has been designed, purchased and procured directly and built using two skilled craftsmen who have been central to the success of the work. The Schlüter-KERDI-LINE linear drainage system was specially selected due to its ease of installation and its minimalistic, subtle finish, to compliment the surroundings. Laurence Quinn states, “We chose the Schlüter system as it is has a variety of components that allowed the flexibility that we needed for installation in an existing condition. The small but intimate scheme is neither the sole preservation of the existing details or a completely new architectural language. The original 100×100mm white ceramic bathroom tiles have been maintained and complemented with new details such as the continued use of terrazzo flooring. A nod to CB&Ps original intention to clad the Barbican in Marble. 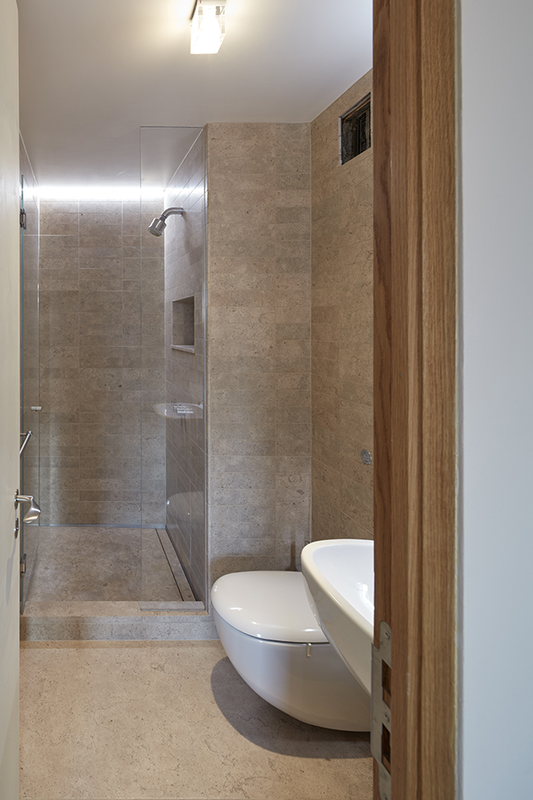 This is evident in the choice of Italian Limestone for the en-suite shower room, with specially cut 300×75mm tiles fitting within the original module. The Schlüter-KERDI-LINE system allows a continued tiled finish to present a hidden and sleek system. Likewise the choice of the Arne Jacobsen handle is a personal choice but refers to the Danish Assa originals. The scheme attempts to show a thoughtfulness and direction of how these important interiors can be updated and modernised while still respecting the original architectural character and atmosphere. To contact Quinn Architects for full details of the renovation, Email: info@quinnuk.com. For further information about Schlüter products email pr@schluter.co.uk or call +44 (0) 1530 813396. All photos credited to © Rob Parrish.